Around three in the morning last Friday, I was en route to Singapore in belated celebration of my birthday. With only my mother as my companion, the weekend was a blur of bookstore hopping, sightseeing and shopping. Of course, being myself, I couldn’t help but squeeze in some reading. So today, I’ll be be sharing what book I brought along with me to Singapore as well as what’s inside my adorable Betsey Johnson bag. 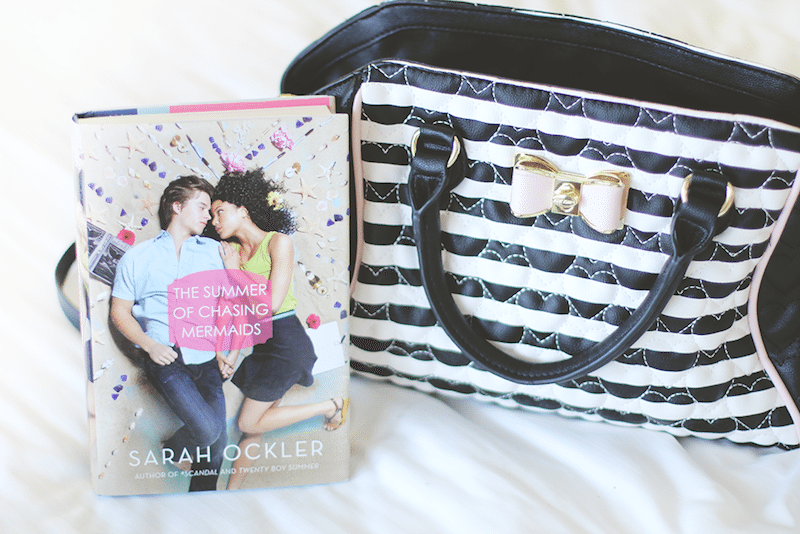 I have The Summer of Chasing Mermaids by Sarah Ockler in my bag, which has been on my wish list for a long while. I finally bought it during MIBF earlier this month (this is the part I realize I still haven’t shared my haul- soon promise!) and I’ve been reading it during my trip, mostly during train rides. I adore Ockler’s books and the fact that she wrote a Little Mermaid retelling is such a dream come true. I’m liking what I’ve read so far and I hope to finish it on the plane ride back to Manila tomorrow. 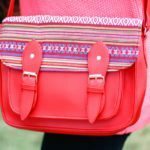 I’ve always loved What’s In My Bag posts and I’ve done a few before, a Book Bags feature on Rachel of Hello Chelly’s blog as well as some on Instagram. I don’t know why I’ve never shared one on the blog before but now that I have I’m thinking I might make it a reoccurring thing. What do you think? 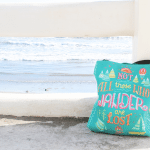 What book is in your bag? Any other cute things you keep there? And how was your weekend? I love that bag!!!! It’s so cute!! I hope your trip is going well and I can’t wait to see the pics. It’s nice to see the personality and style of bloggers, I think that is what’s so great about this feature. 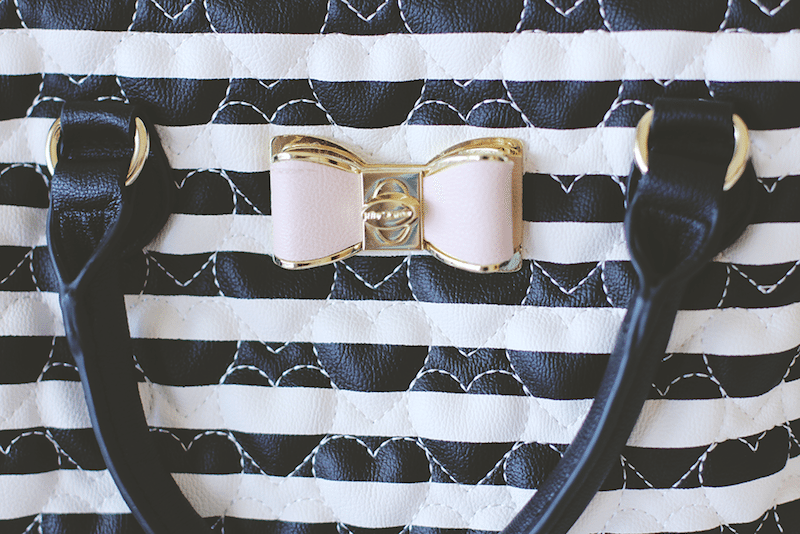 Could that bag be any more adorable!!!!???!?!? I love it!! Also your travel notebook is super cute as well. Good idea to have something handy to write things down in. 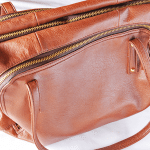 I’m always forgetting important things while I’m traveling! I love the cases for everything in your bag. So pretty. It’s my current fave bag. ;) Thank you, Beatrice! I love everything in your bag, the pastel palette is gorgeous. I have more of an Autumnal theme, and rocking some browns now! I’ll probably do an updated one soon too. I glad you enjoyed Singapore, it sounds like you had fun ^_^. Thanks, Georgie! I didn’t mean to create a palette- I’m just a sucker for pastels in general. I did have lots of fun in Singapore and met Joséphine too!